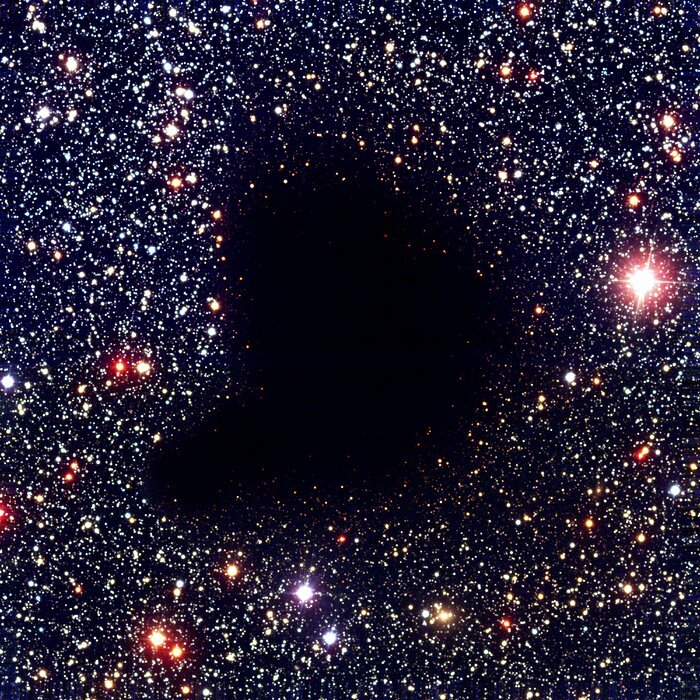 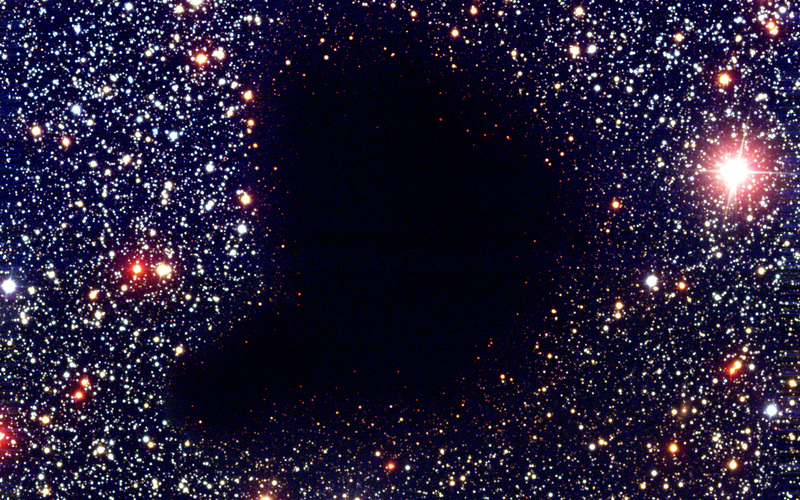 This image shows a colour composite of visible and near-infrared images of the dark cloud Barnard 68. It was obtained with the 8.2-m VLT ANTU telescope and the multimode FORS1 instrument in March 1999. 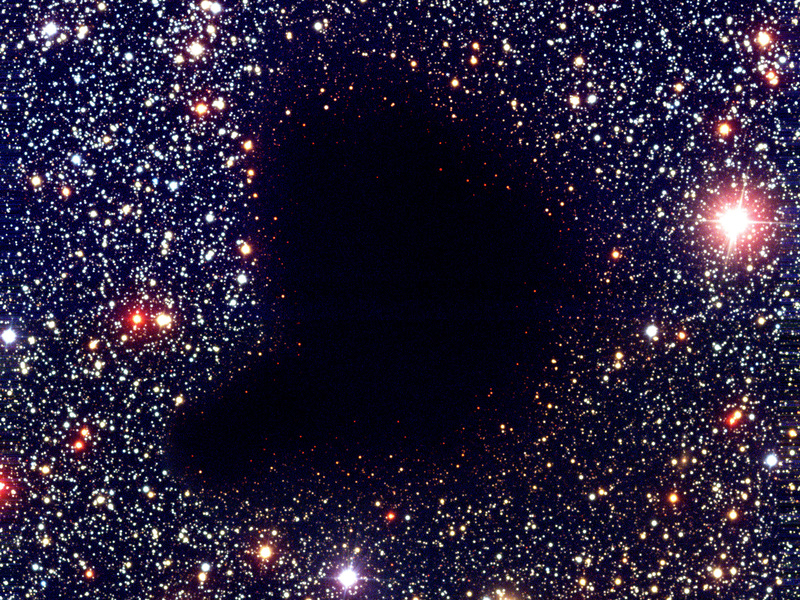 At these wavelengths, the small cloud is completely opaque because of the obscuring effect of dust particles in its interior. 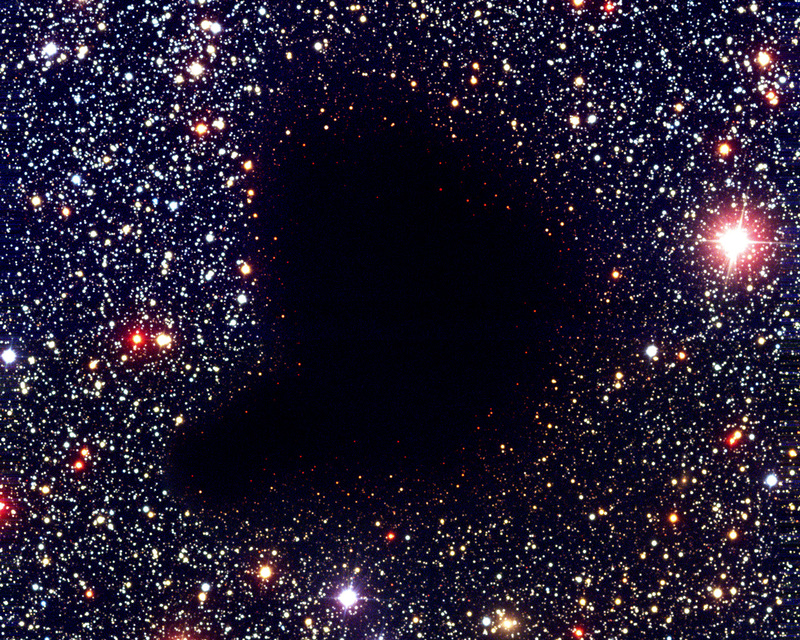 Position (Dec): -23° 49' 34.19"